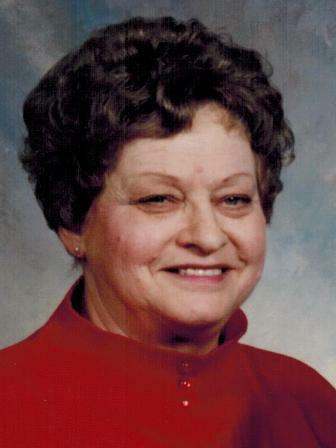 Apolonia “Appie” Vargo, 93, of Tiffin, passed away Saturday evening, November 24, 2018 at Good Shepherd Home in Fostoria. She was born on April 22, 1925 in Owosso, MI to Norbert and Apolonia (Druska) Yandura. She married Frank Vargo on August 17, 1946 in St. Mary Catholic Church and he preceded her in death in 1999. Survivors include a son, Tony (Jean) Vargo of Tiffin; a daughter, Janice (Clark) Boatman of Kansas, OH; four grandchildren, Jenna Keith, Brittany and James Boatman, and Kim Leeth and five great grandchildren, Bailee, Bryce, Malakia, Janessa and Madalyn. She was preceded in death by her parents, husband, grandson, Dustin Hayes in 1994, two brothers, Anthony and Albert Yandura and a sister, Eleanor Kasza. Appie was a member of St. Mary Catholic Church and attended South High School in Pittsburgh and Tiffin Calvert. She worked at Tiffin Glass House and retired from General Electric for 26 years. She was a member of the VFW Ladies Auxiliary, GEWOTS, GE Quarter Century Club and St. Mary Altar Rosary Society. She made great pastries, was devoted to her faith and loved her family and the times they shared. Her Mass of Christian Burial will be Wednesday, November 28, 2018 at 10:00 AM at St. Mary Catholic Church with Rev. Gary Walters officiating. A Rosary will be prayed 20 minutes prior to Mass. Burial will follow in St. Mary Catholic Cemetery. Friends may visit and share stories on Tuesday, November 27, 2018 from 6-8 PM at Hoffmann-Gottfried-Mack Funeral Home & Crematory. Memorial contributions may be made to St. Mary Catholic Church, Seneca County Humane Society or a charity of the donor’s choice. Condolences may be left and the guestbook signed at www.hgmackfuneralhome.com.